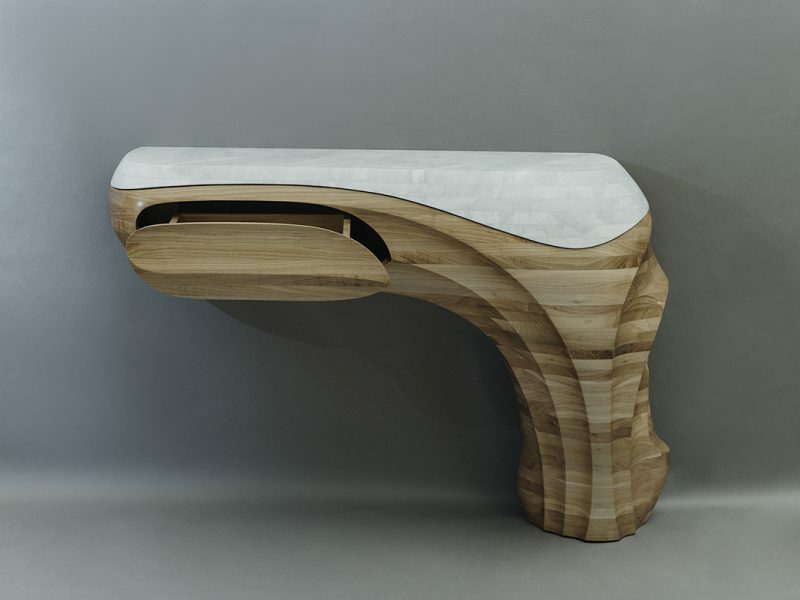 As Todd Merrill explains, “Markus Haase is not making a piece of furniture that looks like art. 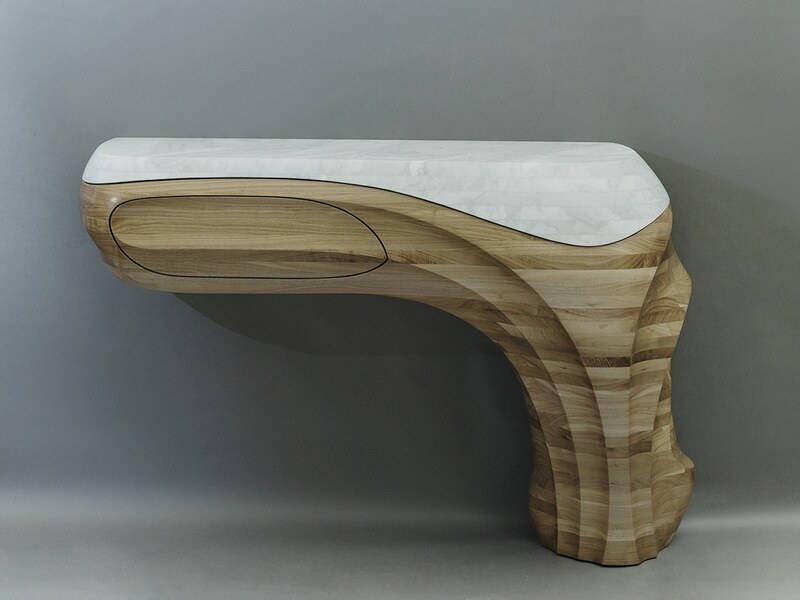 He is a sculptor making art that serves functional ends.” At once a sublime work of art and a functional object, BANG II is a unique, hand-carved console that defies easy categorization. 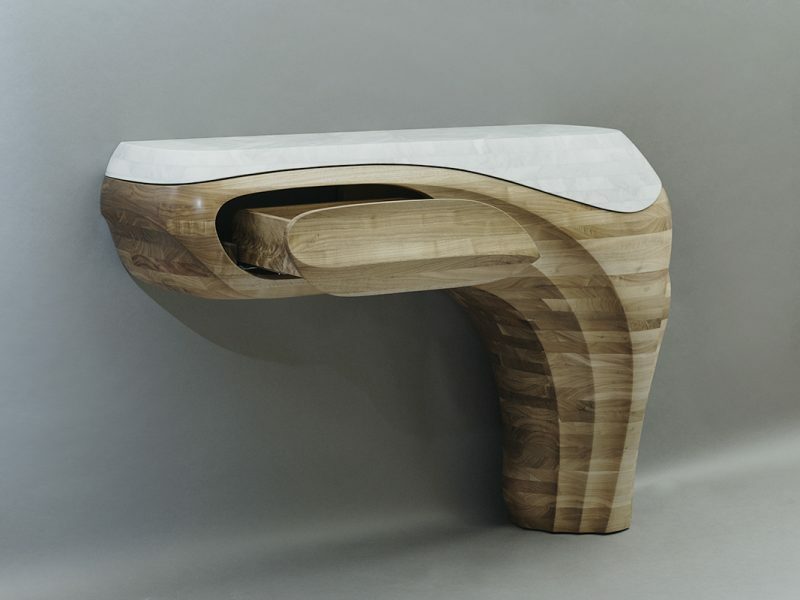 Markus Haase’s decades of experience as a sculptor are evident in his masterful treatment of materials; wood appears as malleable as drapery as it curves in smooth undulations of convex and concave forms beneath a hand-carved marble top. 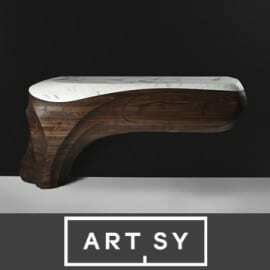 Haase is equally adept at sculpting in stone as he is in wood, proving himself to be a master of the stack-laminated technique. 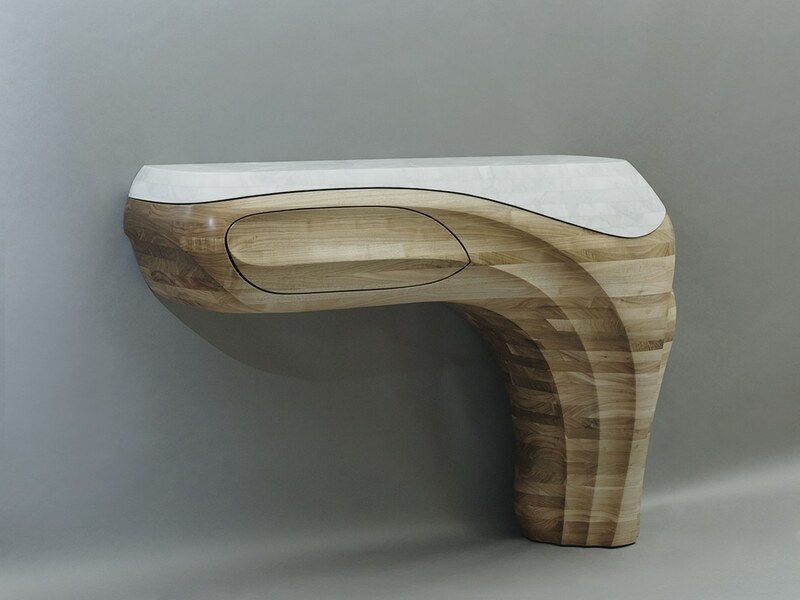 Like a classical sculpture balanced in contrapposto, the piece is rendered at ideal aesthetic equilibrium: the bold, dense structure that appears to grow from the ground on the right is met with lightness and levity as the left side floats. BANG II conveys speed and movement. 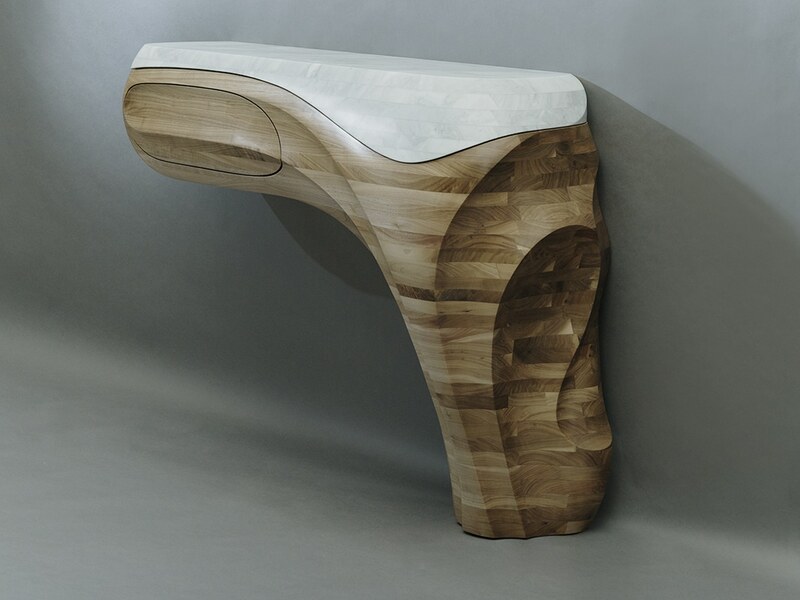 Through automotive allusion and intricate carvings, the wood appears windblown, and the structure accelerating. 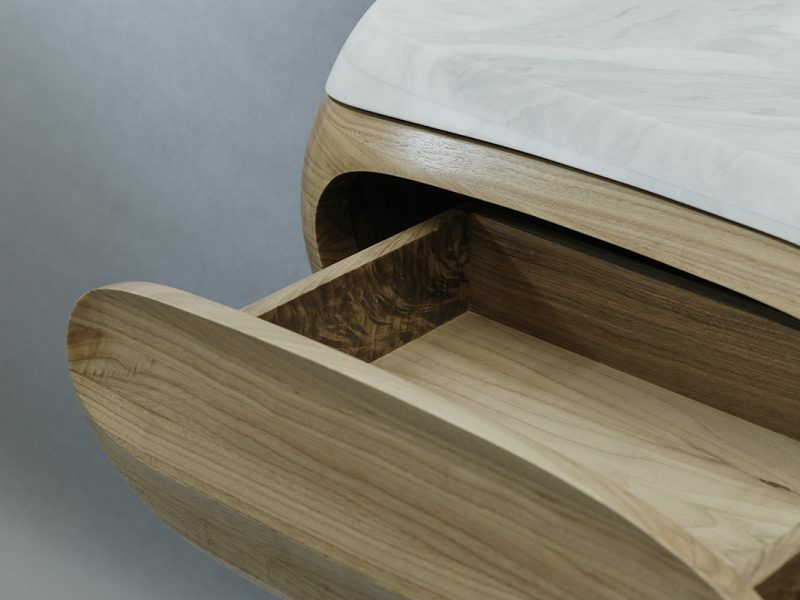 The piece is fit with one storage drawer and is wall-mounted. 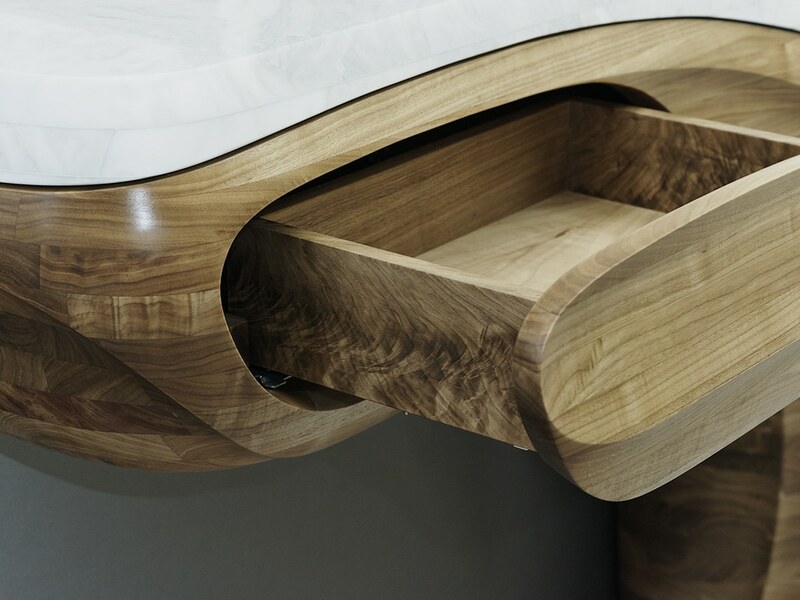 A commissioned piece may be custom ordered with bespoke dimensionality and materials. 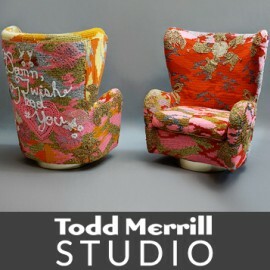 Please contact info@toddmerrillstudio.com for details.